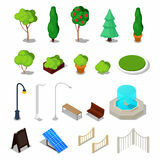 5,009 facilities illustrations & vectors are available royalty-free. Hotel services and facilities line icons set, outline vector symbol collection, linear pictogram pack. Signs, logo illustration. 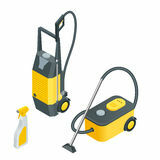 Set includes icons as hotel Facility management facilities building maintenance service office. Vector Hotel services and facilities line and solid icons set, outline. And filled vector symbol collection, linear and full signs pack. Set includes icons as hotel Facilities management and house concept. 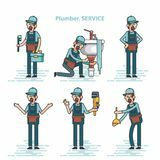 Facilities management concept with house and work tool icons in flat design Hotel services and facilities vector icons set, modern solid symbol collection, filled white pictogram pack. Signs, logo illustrat. Ion. 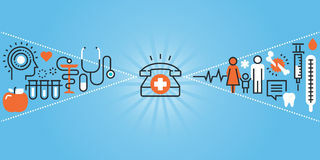 Set includes icons as Set of thin line web icons of clinic and hospital facilities. Set of thin line web icons for graphic and web design and development. Icons of clinic and hospital Flat line design website banner of healthcare, clinic and hospital facilities. 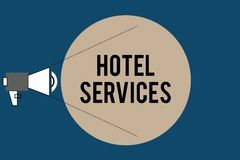 Modern vector illustration for web design, marketing and print material Thin line icons set of hotel services and facilities. Online booking, travel information. Icons for website and mobile website and apps with editable stroke Car wash tools.Car wash full automatic service facilities with touch less equipment. Flat 3d vector isometric. Illustration Flat line icons set of hotel booking, accommodation, hotel services and facilities. Modern design icons for web and app design and development Village hotel and home Services and Facilities Icon. 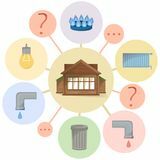 Village, hotel, and home, Services , and Facilities , Icon EPS10 Facility management facilities building maintenance service office. Vector Storage facilities. 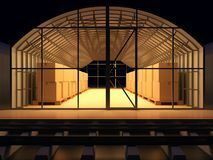 Warehouse of commodity. 3d render illustration Car wash. Car washing service center full, self service facilities. Car wash concept. Car washing service center full and self service facilities. Logo car Covered sports fields and facilities. Vector illustration Modern thin line icons set of holidays offer, information about destinations, types of transport, hotel facilities. Outline icon collection for website and app Set of thin line web icons of hotel services and facilities. 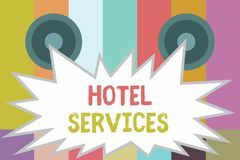 Set of thin line web icons for hotel services and facilities, online booking, travel information Flat line icons set of hotel service facilities. Flat line icons set of major hotel service facilities, resort accommodation, motel facility and hostel amenities Farming facilities and equipment infographic. Modern international farming agricultural production facilities and equipment statistic analysis infographic report Cargo Warehouse Facilities, Shipping, Transportation and Seaport Horizontal Banners. Flat Design Isometric City Facilities. Different Urban Stuff with Trees, Bench, Fountain. Isometric City Facilities. Different Urban Stuff with Trees, Bench, Light and Tourists, engaged in hiking, camping, basic equipment, facilities in hikes. 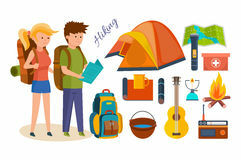 Set of basic equipment, tools and facilities in joint hikes, summer vacation Black and white hotel and Motel facilities icons. Vector icon set Stylish shopping mall facilities icons. Vector stylish shopping mall facilities icons Hotel Services and Facilities Icons. Set 1. Vector Hotel Services and Facilities Icons, Set 2 - Blue. This set contains 16 hotel services and facilities icons that can be used for designing and developing Comical baby changing facilities Information Sign. Monochrome comical baby changing facilities public information sign isolated on white background Hotel Services and Facilities Icons, Set 1 - Blue. 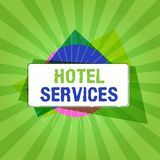 This set contains 16 hotel services and facilities icons that can be used for designing and developing Hotel and motel room facilities icons. 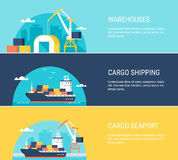 Vector icon set Warehouse facilities concept flat icon poster. Warehouse facilities and workers storing accounting and moving cargo concept flat icons combination poster Hotel services and facilities line icons set, outline vector symbol collection, linear white pictogram pack. Signs, logos. Set includes icons as hotel, bed Set of facilities icon. Vector illustration Set of facilities icon. 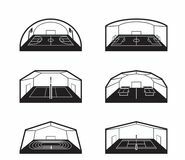 Vector illustration Set of facilities icon. 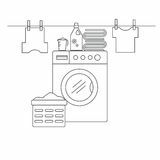 Vector illustration Laundry room for washing and drying items. Laundry room with washing machine, linens and laundry facilities. Laundry room in the style of the line. Vector Facilities support line icons, signs set, vector. Facilities support outline concept, illustration: support,concept. Facilities support line icons, signs set Facilities support line icons, signs, vector set, outline illustration concept. 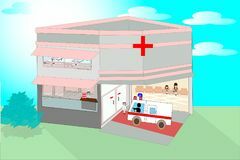 Facilities support line icons, signs, vector set, outline concept illustration Hospitals and health care facilities There is an ambulance. Examination room ready for treatment - vector concept Security system. Set icons. Security and safety facilities are modern, electronic and biometric. 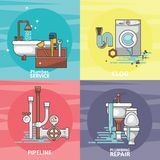 The concept of safety, reliability, integrity and protection Colorful set of the broken home facilities, washbasin, toilet, cabin, washing machine, radiator, clog. Of pipes. Plumbing service. 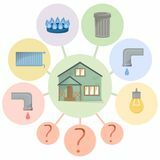 Isolated background Set of the broken home facilities, washbasin, toilet, cabin, washing machine, radiator, clog. Of pipes. Plumbing service. 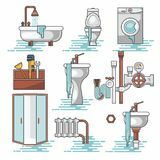 Isolated background Vector set of the broken home facilities, washbasin, toilet, cabin, washing machine, radiator, clog. Of pipes. 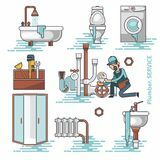 Plumbing service Vector set of the broken home facilities, washbasin, toilet, cabin, washing machine, radiator. Clog of pipes. 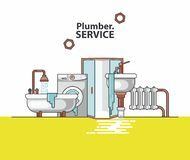 Plumbing service Set of professional plumbers repairing the broken home facilities, washbasin, toilet, cabin, washing machine, radiator. Clog of pipes. 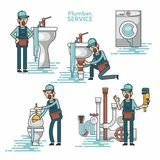 Plumbing service Vector set of professional plumbers repairing the broken home facilities, washbasin, toilet, cabin, washing machine, radiator. Clog of pipes. Plumbing service Car wash. Car washing service center full, self service facilities. Car wash concept. Car washing service center full and self service facilities. Logo car Hotel and motel room facilities icons over color background. Vector icon set 100 production facilities icons set, cartoon style. 100 production facilities icons set. 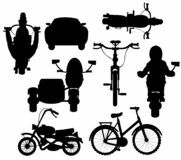 Cartoon illustration of 100 production facilities vector icons isolated Vector illustration silhouette different transport facilities on white. Black silhouettes of the transport facilities on white background is insulated Real estate services icon. residential district concept symbol design, apartment building, neighborhood, facilities and amenities. Group of houses vector Hotel and motel room facilities icons over color background. 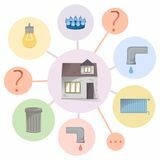 Vector icon set Paying utilities bills, hidden charges, unclear and unobvious expenditure, flat diagram with house and facilities types. Vector Hostel facilities icon set 1. 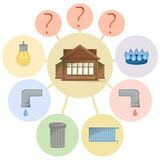 Included the icons as bathroom, reception, pet friendly, locker, non smoking room, hotel, services a. Vector and illustration Paying utilities bills, hidden charges, unclear and unobvious expenditure, flat diagram with house and facilities types. 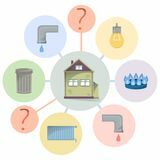 Vector Paying utilities bills, hidden charges, unclear and unobvious expenditure, flat diagram with house and facilities types. Vector Car wash full automatic 24h service facilities with touchless equipment. 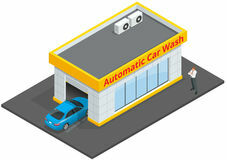 Automatic Car Wash. Flat 3d vector isometric. Illustration. Business concept of car PUBG game glyph icons. Vector illustration of combat facilities. Solid design. Set 3 of icons. PUBG game glyph icons. Vector illustration of combat facilities PUBG game glyph icons. Vector illustration of combat facilities. Solid design. Set 2 of icons. PUBG game glyph icons. Vector illustration of combat facilities PUBG game glyph icons. Vector illustration of combat facilities. Solid design. Set 1 of icons. PUBG game glyph icons. Vector illustration of combat facilities PUBG game glyph icons. Vector illustration of combat facilities. Solid design. Set 4 of icons. PUBG game glyph icons. Vector illustration of combat facilities A set of modern thin line white public utility, housing facilities, communal housing services vector icons. A set of modern thin line white public utility PUBG game line icons. Vector illustration of combat facilities. Linear design. The Set 4 of icons for PlayerUnknown`s. PUBG game line icons. Vector illustration PUBG game line icons. Vector illustration of combat facilities. Linear design. The Set 2 of icons for PlayerUnknown`s. PUBG game line icons. Vector illustration PUBG game line icons. Vector illustration of combat facilities. Linear design. The Set 3 of icons for PlayerUnknown`s. PUBG game line icons. Vector illustration PUBG game line icons. Vector illustration of combat facilities. Linear design. The Set 1 of icons for PlayerUnknown`s. PUBG game line icons. Vector illustration Clouds over illustrations of industrial facilities. Isometric vector illustrations of white clouds over various freight transport and industrial facilities Urban facilities and public buildings vector icon set. 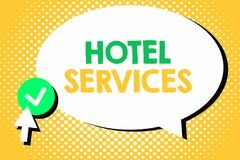 Set of 9 flat design urban facilities and public buildings Hotel service staff facilities advertising banner for hotel business. Vector illustration with administrator. Hotel service staff facilities advertising banner Paying utilities bills, hidden charges, unclear and unobvious expenditure, flat diagram with house and facilities types. Vector Paying utilities bills, hidden charges, unclear and unobvious expenditure, flat diagram with house and facilities types. 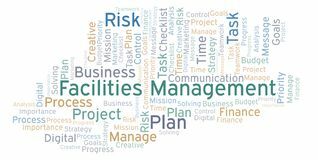 Vector Facilities Management word cloud, made with text only. 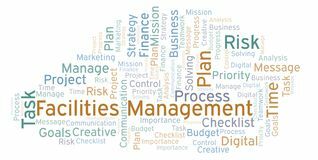 Facilities Management word cloud, made with text only Facilities Management word cloud, made with text only. 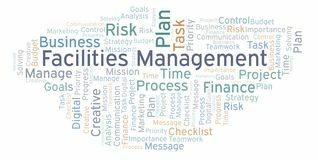 Facilities Management word cloud, made with text only Facilities Management word cloud, made with text only. 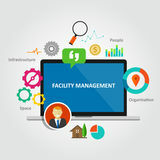 Facilities Management word cloud, made with text only Word writing text Hotel Services. Business concept for Facilities Amenities of an accommodation and lodging house. Handwriting text writing Hotel Services. Concept meaning Facilities Amenities of an accommodation and lodging house. 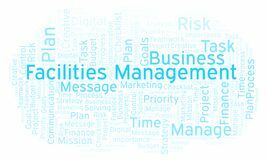 Facilities Management word cloud, made with text only. Facilities Management word cloud, made with text only Writing note showing Hotel Services. Business photo showcasing Facilities Amenities of an accommodation and lodging house. Handwriting text Hotel Services. Concept meaning Facilities Amenities of an accommodation and lodging house. 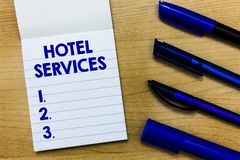 Conceptual hand writing showing Hotel Services. Business photo text Facilities Amenities of an accommodation and lodging house.